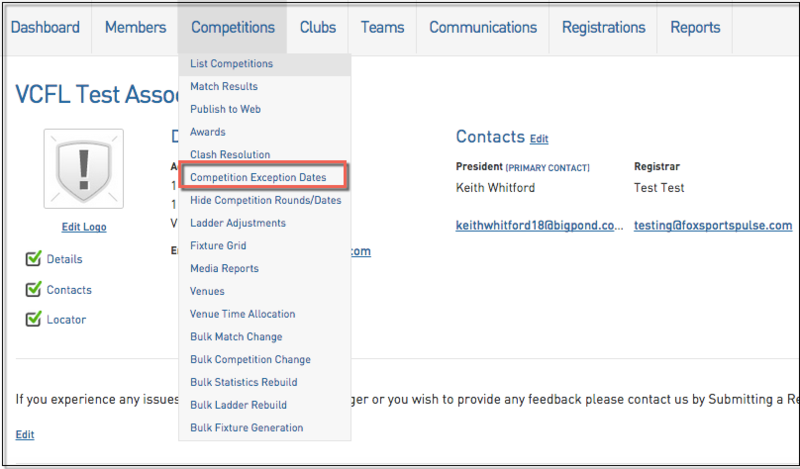 Competition Exception Dates Exception Dates are dates where there is no competition games scheduled during the season. This may be for School Holidays, Public Holidays, Representative or Special Event games and the season skips over these dates and recommences on the next date in the sequence. 4. Fill out all necessary information and click Add Exception Date. Note: Click on Click for more Competitions if you'd like the exception to only be applied to specific competitions. 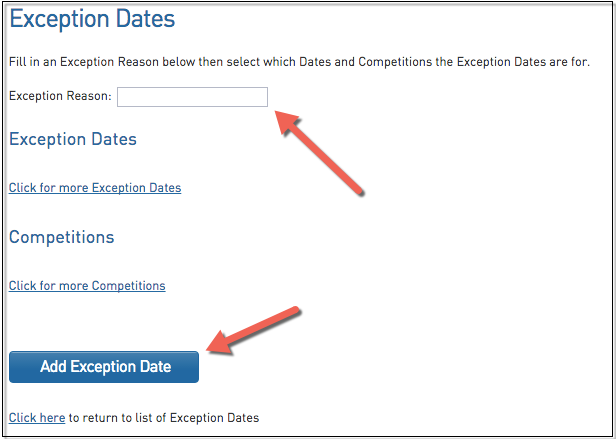 It is also advisable to add in an Exception Reason so that you are able to keep track of what dates are marked for which reason. You can also choose which competition that this exception date applies to so that School Holidays that may only apply to Junior Competitions, don't apply to the Senior Competitions.